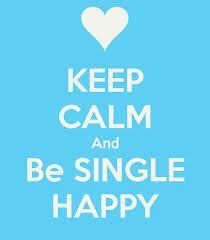 It sounds like the simplest answer in the world but the best way to get into a relationship is to be happy alone. People are drawn to positivity and happy people. Some, it’s true, come into your space to drain that energy for themselves but I’ve never heard of a depressed or bitter single getting into a relationship. Oh wait! Yes I have. In rom coms you are always finding these women who want a man so badly because they can’t bear the thought of all of their smug couple friends slobbing out at home without them. Or some man meets a mildly depressed mod chick or workaholic and decides this is his future wife and mother of his kids. Needless to say it rarely happens and even if it does the likelihood of it happening in a Dating Recession are slim. Let’s be proactive here my precious. So here are my 3 top tips to being an amazing singletini. This is code for find some passions. A relationship cannot be your only goal in life. Either you find a field in which you thrive and you can talk about incessantly or you get yourself some hobbies. I suggest a job and hobbies as few can make the kind of money a single woman needs to keep herself Dating Ready on a passion. But it’s up to you. Just have something other than celebrity gossip, makeup and past dates to talk about with your friends and your dates. Neither are particularly impressed. I ran the marathon a few years ago. It was horrible and not something I would suggest to anyone that tends to waddle instead of run. But it was amazing how many people found it vaguely interesting. Guys started giving me diet and exercise tips. Women asked me about my body. Those were fun times and it meant that I had a great excuse to cut a date off early if he proved to be a bit of a knob. OK so ALL of your friends are in relationships. Accept that they will never ever be as available to you until 50% of them get divorced. Do not wish divorce on anyone. This makes you a bad person. You can however wish that he gets a placement overseas before they have children hence freeing up her time somewhat. I think this is a reasonable wish as you are furthering his career too, right? The obvious alternative would be to get new friends. This isn’t as difficult as we are told it is but, in the same way we struggle to date, as we get older we struggle to make friends. This is mainly because most women over 30 feel that we are all competing for that one final golden ticket: a good man. I’ll let you into a secret. That was a PR stunt to sell more self-help books. There are hundreds of golden tickets. You just have to find one for the chocolate factor of your choice. Cadburys, Lindor or Mars please fairy godmother. The best way to find new friends is to get a recommendation from an existing friend of other women with time on their hands. If you have something in common (see hobbies above) then this can help. I advise against having a twosome friendship. Instead go for groups. There are plenty of events on meetup.com which allow you to meet other people with similar interests or backgrounds. And the good thing about new friends is that they a) don’t know how crazy you are b) haven’t heard any of your killer stories yet. Yes that’s right, a whole new audience! 3) Stop being a moany cow. When someone asks you how you are you need to have more to say than moan about your latest dating failure (this doesn’t include me of course. Dating is not only a hobby and passion I turned into work but is why you are reading this). If you are going to moan then at least make the story somewhat funny. I know you can’t really put much of a twist on him cheating on you with your everyday bestie (this isn’t the same as your BBF. This is your single friend you go out with regularly. An alternative to a boyfriend if you will and the ultimate competitive wing woman) Or the fact that he has a secret family in Hendon but try my precious, try because for the sake of all of us we can’t cope with that puppy dog look as you moan through the telling of when yet another bad saga ends. So that’s it. I am still on my hunt for FuHu but I make time to network (drink and eat unnecessary amounts without there being a particular occasion to celebrate), virtual exercise (I think about running and playing football an awful lot) and read. I’m not perfect but I’m the perfect singletini because as much as I want FuHu I do so love being single and often miss it when I’m not. Go forth my precious and find your happy singletini mix.